In the rarefied world of Milanese design, high-profile stars usually work alone. Partnerships between husband and wife are even scarcer. Ludovica Serafini and Roberto Palomba may be the exceptions that prove the rule. 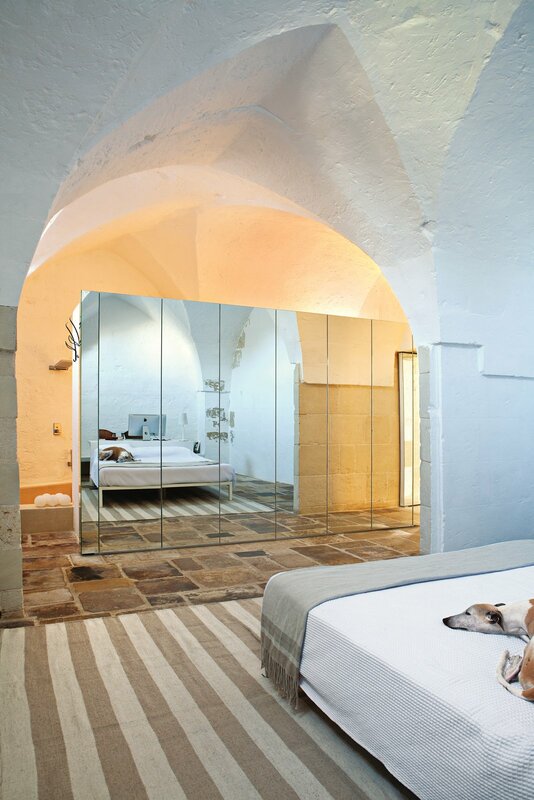 Since 1994, they have collaborated on an amazing number of projects: designing bathroom equipment, kitchens, furniture, and lighting for an almost endless list of companies, including Boffi, Cappellini, Salviati, Foscarini, and Zanotta, and winning several prestigious awards, including a Compasso D’Oro—Italy’s highest design prize—in the process. 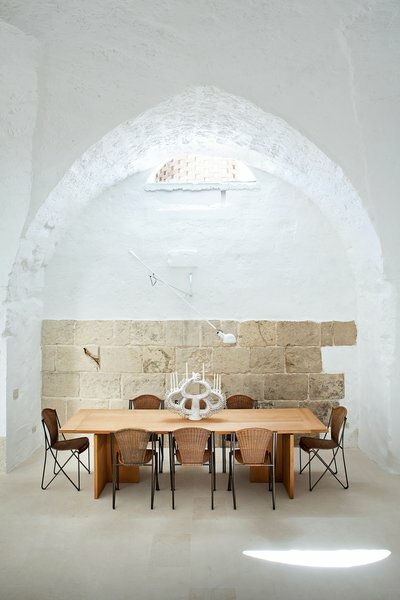 They found the house of their dreams—an old oil mill that dates back to the 17th century—in Sogliano Cavour, a small village in the province of Lecce. “It was love at first sight,” says Serafini. 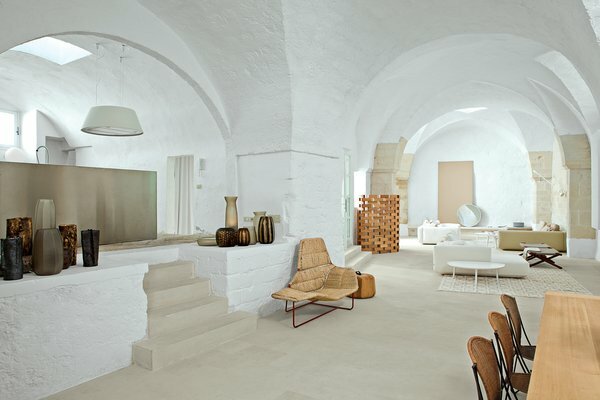 “We are architects, and we immediately understood the potential of the place.” The couple realized that they could put their own imprint on the house but still retain its raw spirit, keeping the ancient stone floors, walls, and arches intact.